When (and When Not!) to "Do-It-Yourself"
There are some people whose personality is perfectly suited to planning their own wedding. These individuals are able to make the arrangements like a pro. In their spare time they may even be able to create decorations for the wedding and centerpieces for the reception. On the other hand, there are those individuals who would rather poke their eye out with a cake server than spend time choosing linen colors and invitation fonts. Not everyone is cut out to be a planner. If the following attributes describe you, it is best to leave the wedding arrangements to someone more qualified. Individuals who aren’t organized might want to enlist someone else to help plan their wedding. Successful planning requires that an individual be supremely organized. There is a lot to keep track of! And if a person is not able to, they are better off leaving the planning to an expert or at least relying heavily on friends of family to help with the organization. Wedding planning requires a take-charge attitude. People who are afraid of conflict, who are unwilling to negotiate and don’t like telling others what to do, are not well suited for this position. They should just, pass it on to someone that is. When it comes to wedding planning a certain amount of schmoozing is required. The old adage is true, “You can catch more flies with honey than vinegar.” Being nice is sometimes the best way to get what you want and need for your wedding. People who aren’t inclined to working well with others need not apply for the job of wedding planner, even if it is their own wedding. For some individuals, the idea of planning a wedding is incredibly exciting. For others, it is anything but. It is those that fall into the latter category who should avoid planning their own wedding. A person that is not in the least bit interested in planning a wedding will tend to procrastinate and probably won’t have the best attitude. It might be in the best interest of everyone involved to have someone else do the hard work of wedding planning. Though at first glance, wedding planning may seem easy enough, it is anything but. It requires a great deal of organization, know-how and the ability to work well with others. It will not be well suited for everyone. 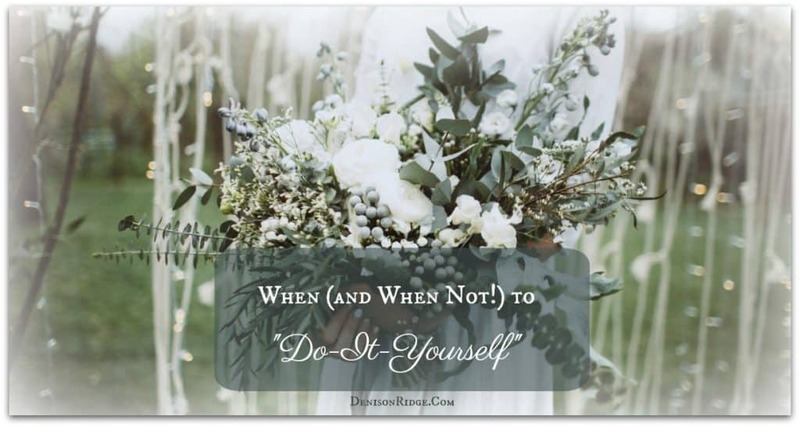 Individuals that aren’t well organized, who hate to be in charge, and would rather be doing anything else then planning a wedding, probably aren’t a good fit. Individuals will need to be honest with themselves regarding whether or not they are suited to take care of everything themselves. Those that are not, should allow someone who is, to be in charge. Doing so will make life easier for everyone involved. Choose wisely, When (and When Not) to “Do-It-Yourself”. Be sure and check out out Vendors page for help in those areas you just don’t want to take on. 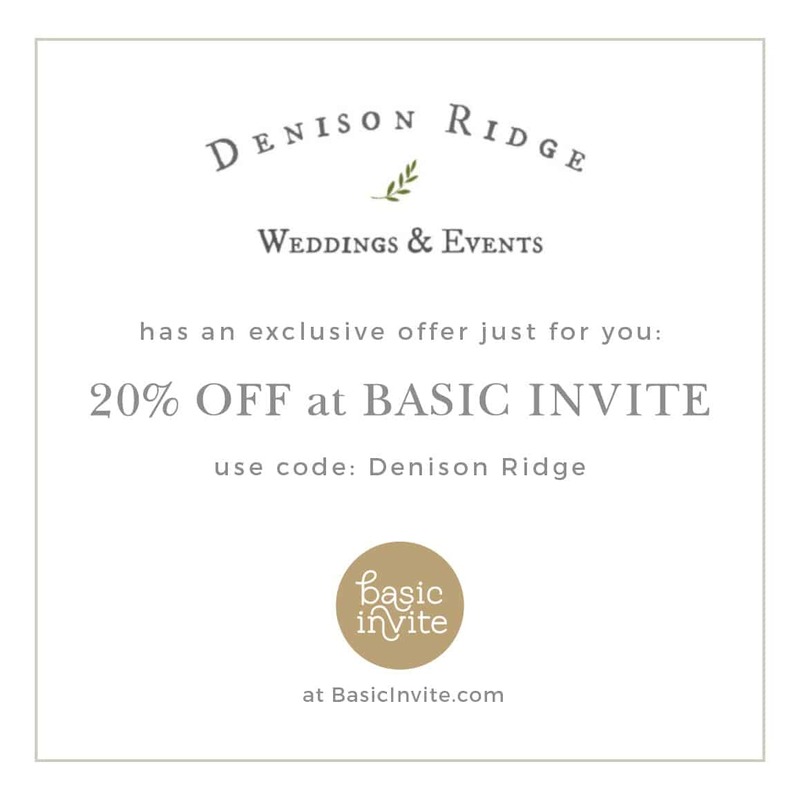 For helpful information, check out the Denison Ridge Shop.